It's revision time!! Actually it's BEEN revision time. And it will be, for many weeks to come. It would be so cool if life had revisions. At the end of the day I could skim through my mind and adjust things I said and did... or after a major mistake just hit the delete key, hehe. Delete-delete-delete!!! 1. Revise to show me cleaning the syrup from breakfast off the table. (This means I could delete the unnecessary "Ants All Over the Table" scene later on). 2. Revise to show me wearing shorts to the picnic at the park, instead of the semi-short, flowy peasant skirt I DID wear. (I didn't realize it would be windy. Changing this would mean I wouldn't have to endure the "Constantly Clutching the Sides of Her Skirt to Avoid Flashing Both Friends and Strangers" sequence). 4. Revise to show me lending Mockingjay to my Best Friend instead of my Good Friend. (We were all going to dinner and a movie-- they were coming over first and this is why I even vacuumed. Good Friend stopped by the house like an hour before Best Friend. Subsequently, Good Friend saw Mockingjay on my bookshelf first-- a whole hour first-- anyway, revising this scene would delete the "Best Friend Pouting" sequence I'm enduring now, and also "Diana Feeling Guilty" *sniffle*). Anyone else have some revisions from yesterday? Want to share? And oh yeah... 5. I would revise to show myself remember to bring my purse to dinner and a movie with friends. The revisions just keep going! Last night around nine pm I finished reading Mockingjay. My head keeps going over everything that happened. Relentlessly. I love these books. Brilliant. Horrifying. Beautiful. Scary. Real. Important. Human. Here are my thoughts on Hunger Games and Catching Fire in case you're curious. Next post... Mockingjay Book Talk. Below is a video of Suzanne Collins reading the first chapter of Mockingjay. She has an accent!! I was sooo not expecting that! 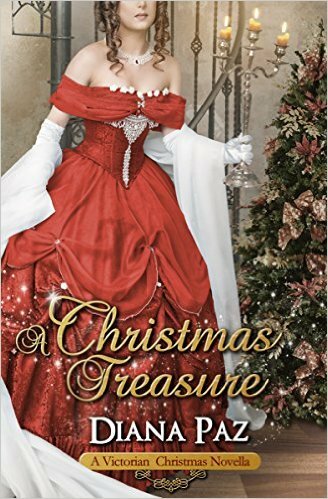 Thank you to my lovely critique partner Dana at A Squirrel Amongst Lions for emailing me this link. If you're curious about my gushing thoughts on Hunger Games and Catching Fire, click here . First, a little about my sister. Like the previously mentioned sister, she is also awesome, also into clothes, but unlike my other sister, this one counter-acts the mojo that makes crazy things go wrong on family trips. Seriously, when we all went beach camping a few weeks ago, nothing crazy happened throughout the whole weekend!! Unheard of! Until we were getting ready to leave and she drove off first. Then there was craziness but ANYWAY, a story for another time people. The bottom line is, this little sister has a calming effect on the world. So, the mall. We didn't have a reason for going to the mall other than to talk and hang out. We decided that this time, we would have a strict five-dollar rule, because otherwise talking and hanging out could get really expensive (as we've learned before *sad, sad sigh* *cringes, pushing away bills*). At first we joked about what we could possibly find for five dollars at the mall, but really, finding something for five dollars is not the hard part; the hard part is knowing that once your five dollars is spent, you have no more money to play with. It became like a game... bracelets or hair clips from Claire's Accessories? How about something from Old Navy? Flip-flops, tops, stuff on clearance? Then there were random small shops with eyeshadow and nail polish, or layered tank undershirts... and The Disney Store-- haha, our favorite store ALWAYS-- had clearance ball caps for under five dollars, plus a bunch of little things that so rocked, like a keychain viewfinder and sparkly princess lip gloss!! We couldn't decide! It was an embarrassment of under five dollar riches! Candy. YES, we spent it on candy. Pointless? Maybe. As Charlie said in Willy Wonka, candy doesn't have to have a point. That's why it's candy. Hanging out with my sister was the point *gasp* and we both didn't care about buying more crap we didn't really need. So that's when I had this mini-writerly moment. Had we known this in the beginning, we might have just stayed home to talk and hang out on the sofa, but would we have had as much fun? No!! The same with our characters. If they knew what they need at the beginning of the story, they might not go through the whole crazy adventure in the book we're writing, but that's what makes it fun. They get to figure it out. Good news! I convinced two non-reader friends to just read the beginning of Hunger Games... *rubs hands together with evil glee* They're hooked. They finished Hunger Games and Catching Fire. They want more books. They have nabbed random books from my bookshelf, bwa-ha-ha-haaa!!!! ANYWAY, to change the subject almost completely, while I was at a big-chain-bookstore the other day, I did my usual and looked for my favorite authors to turn their books face-out. Hee hee hee! Yes, that kind of thing makes me happy. And yes, my friends who now read think that is extremely weird. Perused the YA section, from beginning to end. Turned favorite authors' books face-out. Grabbed a white mocha and a huge chocolate chip cookie from the in-store coffee shop. I almost got the cheesecake but that cookie was calling my name. Diana! Diana you need a chocolate chip cookie! And look at me, I'm huuuuuge!!! **Revised... ahhhh, this is the good part... which reminds me, I keep revising Twists of Fate instead of Wishmaker, what am I doing?????! My brain tells me over and over, Revise Wishmaker, you have more distance with that story. Twists of Fate is too fresh in your mind!!! Why aren't you listening to me, I'm your brain!!!!! Sorry brain, I've never listened to you before, why start now? I should probably update my website and put up an excerpt of ToF and change the status of that book to "in revisions." Where was I before my brain so rudely interrupted... oh yeah, revisions! Revised and revised and REVISED until my laptop battery died. Normally I could stay until the store closes if given the chance, but I came with a half-full battery. Swung by the books one more time. This time checked out adult fantasy and romance. Returned to YA and pick up Wayfarer by R.J. Anderson. I'm a sucker for fairy stories. I love revising :) Have I said that a million times already?? I love having the book all semi-roadmapped in front of me. And this was my favorite way to revise, at the bookstore, with my white mocha in-hand and mega chocolate chip cookie in-stomach. I don't think I ever mentioned this before (ooh ooh! A Diana Reveal!) but-- no joke-- my dad is a truck driver. He is as much a truck driver as you can possibly imagine, including the bleeped-out vocabulary. Yeahhhh... this particular beach day started with a phone call from him that went, "Hey, I'm home from the [bleeping] road. It was fine, just the usual [bleep]. Want to go the beach?" I love my dad :) Anyway, the beach! Ummm, YES. Let's go! I call up my sister and tell her about Dad's idea that we hit the beach. She's excited and we all drive together. Other than getting a teensy bit lost**, everything's going great! **YES my dad drove, and YES, he is a truck driver, so technically he should be lost-proof. Unfortunately I was the one using my phone's map feature to get to this beach we'd never been to before and somehow I read the map directions wrong-- UGH! The screen is tiny, the numbers all looked the same!! At the beach (finally, and after a stop for a ton of snacks because the beach makes you HUNGRY!) we find a really great tree by the lifeguard tower with a huge circle of shade under it, BUT we have the pop-up canopy thing so we can make our own shade if we want. It's windy. Actually it's a great day to be at the beach because the sun is bright and the breeze is strong... still, I don't know about combining wind and a pop-up shade... my dad doesn't see anything to worry about and I hate that I'm the "worrier" in the family, so whatever. Up goes the canopy. My sister and I slather on the Maui Babe and lay out. In the sun. Did we need the shade? Dad is jumping waves and we relax. Or... I pretend to relax as I watch the pop-up shade behind my sunglasses. Is it my imagination or is it shaking? Violently? Like it's about to launch right off the beach? Dad and Little Sister seem to think all is well. I'm thinking this canopy isn't going to make it through the day without becoming a kite. Still, I say nothing. For the record, my instincts were correct. We get closer and, indeed, my pop-up shade is still on the ground. Stuffed back inside the convenient carry bag it came with. All sorts of metal rods stick out of the top of the convenient carry bag like the whole thing is an enormous dead spider that some giant smacked with his huge, giant-sized flip-flop. Or whatever footwear giants wear today, I don't know but the canopy was dead. "Oh my GOSH!" says my sister. She tells us that she was lying on her towel when she heard an enormous crack (the giant's flip-flop, maybe?). People on the beach start yelling. She sits up to see our canopy doing cartwheels across the sand. By the time she stands up to chase it down, it crashes into a cluster of palm trees, cracking again. She is so embarrassed she can't accept help from onlookers. In her humiliated state she remembers repeating, "Don't worry, this canopy does that. I'm fine! It does that!" She then grabs the convenient carry bag and returns to the deceased canopy, jamming the whole thing as best she can into the bag. She is unable to figure out how to fit the broken limbs inside, so leaves them hanging out. She drags the whole thing back to our beach spot, hoping everyone on the beach will just stop staring and asking if she's okay. Wow. No problem. This won't ruin our trip to the beach, I guess. We're hungry and the snacks we bought are looking good. But low-tide is coming in and that is the only time we'll see anything cool at the tide pools. There are seagulls to consider, so we put the one bag of opened chips in the cooler. Everything else is still unopened so we're fine there. The tide pools are a lot of fun. We climb over rocks and see crabs and anemones and this slimy thing that felt like the inside of your cheek, only cold. We take pictures on the cliff together, we act like goobers. It was awesome, yay!! Who is even thinking about the pop-up canopy debaucle? Not us! We're ready for some lunch and chatter about all the awesome food we bought earlier. We return to our beach spot to see the ENTIRE AREA blanketed in seagulls!! Not one fraction of an inch of our towels, chairs, ANYTHING, is visible!!!! My sister just stares. I race down the hill screaming like a maniac. My dad sort of follows behind me, dazed. "What the [bleep]?" People on the beach stare in amazed horror at the birds-- me screaming-- I don't know! Blog friends, the noise was incredible. If I wasn't so hungry for the food I'd been envisioning, I would have been afraid of being pecked apart. But there was nothing left of snacks. Nothing left at all. The birds tore open the BRAND-NEW bags of chips, the UNOPENED box of cookies, the FACTORY SEALED cheese crackers. There were only pulverized crumbs left, mixed with feathers. Tons of snacks were in the beginning stages of digestion in the bellies of probably a hundred birds. But we did have the half-eaten bag of chips in the cooler. There was that. The beach was officially over. The beach without artificial shade is manageable. The beach without food is not. We had fun though! And we definitely agreed we'd have to go back again before the end of summer. On the way home we stopped by for some fast food (including cookies). We didn't get lost, and seriously, it's not like anyone gauged out an eye or anything (although my sister might have come close) and hey, maybe we'll end up on Youtube. I can't help but think, as a writer, how similar the whole experience was to finishing a novel. I mean, sometimes things don't seem like they're working out, key things in your novel don't fit or they go wrong altogether, but you keep trying and maybe take the story in a whole new direction. Other times, you just can't force it, but that's alright. You can always try again another day. Yes blog friends, I AM blogging! 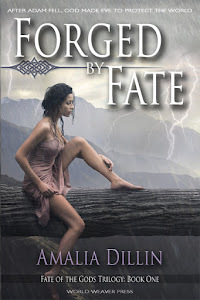 I finished writing Twists of Fate on Saturday night (or actually, wayyy early Sunday morning) and it did NOT take me long to jump back on my blog. Weird. I have the same sense I did when I first started blogging... like... no one is actually reading this. That is a scary way to blog. I mean, if I don't believe anyone's reading, then I can potentially write A-N-Y-T-H-I-N-G. Bad guy laughter! Maybe? BWA-HA-HA-HAAA!! Oh yeah, that felt good. So technically I should do some sort of re-cap deal or something... what have I been DOING? Besides writing, I mean. What books have I read? What movies have I seen? What the heck happened with the house-hunting saga-to-end-all-sagas??? I never remember movie titles! I'm sure there were funny ones and definitely adventurey types!! Umm-umm-I don't remember and I really refuse to spend a million years on blog posts anymore. Tah-dah! Oh! Last bit of news: I went to SCBWI conference last weekend in L.A. and had so much fun! It's an incredible conference if you write YA. I met the lovely Shannon Messenger from Ramblings of a Wannabe Scribe but I missed practically EVERYONE else who I "know" from blogger and twitter! Oh well. In some great news, instead of battling L.A. traffic, I got to be roomies with my super amazing critique partner Dana Elmendorf! If you don't already read her blog A Squirrel Amongst Lions you REALLY should! She's doing a whole bunch of SCBWI segments and everything! And if you're not the writerly-type, she is funny and adorable, so go read her blog anyway! Time for revisions... not on Twists of Fate though. That story gets to rest while I take on revisions of an earlier book I wrote called Wishmaker. You can read an excerpt on my website if you want. Click here.